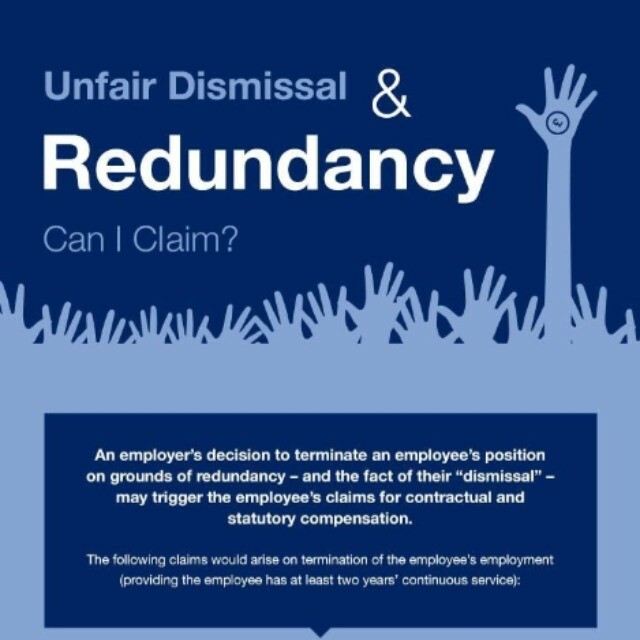 An employer's decision to terminate an employee's position on grounds of redundancy - and the fact their "dismissal" - may trigger the employee's claim for contractual and statutory compensation. We have created the infographic below to provide information about claims that could arise on termination of the employee's employment. If you are looking for professional friendly legal advice on unfair dismissal or redundancy contact one of our employment solicitors today.